So.. i am back with a new Ethereum Minig Rig tutorial, this time i will be creating with the new GPU Sapphire Nitro+ Radeon RX 480 8gb OC. YAY! and also with a bit different frame.. finally. I this post i will have less content and more pictures, if you really need a step by step tutorial with good explanation on how to create your first rig check here. As for the frame i will only add a gallery and you will have to follow the steps, measurements will be found below. More detailed tutorial for building the mining frame can be found here. Ethereum Mining Rig Frame / Case V2. Unbox the motherboard carefully and keep the red material under it. The remove the black plastic protection from CPU slot. Once unboxed, get the cooler and remove thermal paste from it. Install the CPU and then apply thermal paste to it, final step is to install the cooler. Now that we are all set with the motherboard and the frame let’s unbox the PSU. Then place the Motherboard in the center of the frame and the PSU in the left back corner. Once you have all the cables, begin to install them in PSU and motherboard. I highly recommend to install the GPUs one by one and test them, follow the next steps to make sure that everything will work fine. 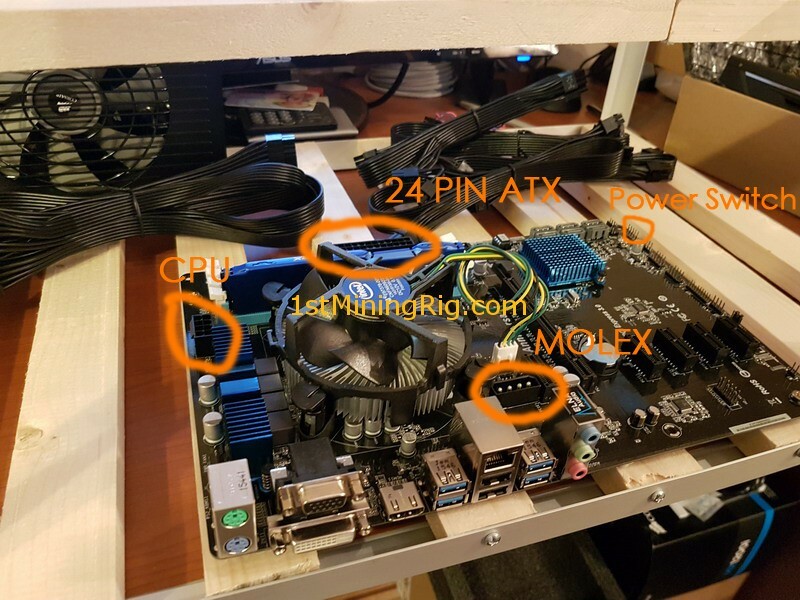 Install 1 GPU ONLY , turn on the PSU, power up the rig and make sure that it is booting correctly. Rig is not booting with one GPU ? ethOS is not booting ? I had no problems, everything went nice a smooth from the beginning to the end, no riser/molex/sata/etc problem. Only that a card keeps crashing but like i said this will be fixed with the new ethOS release 1.1.2. 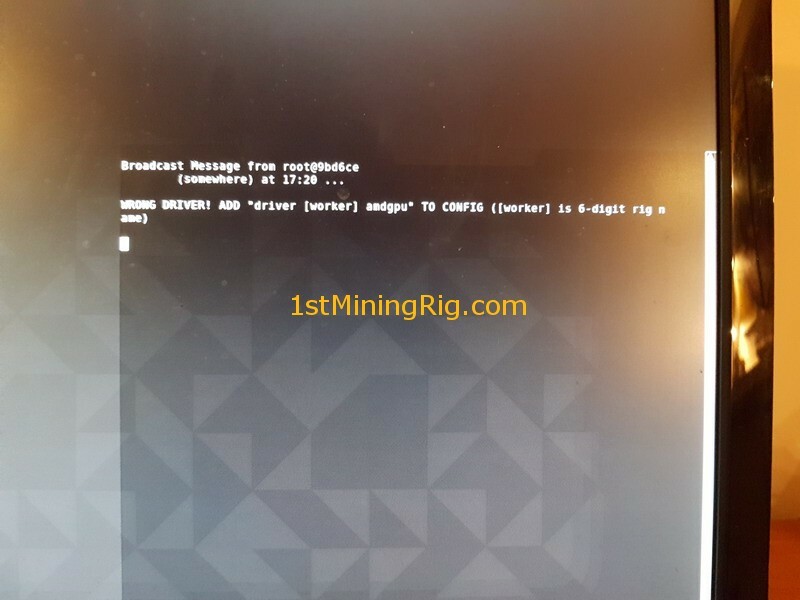 I am too lazy to make this rig on windows, ethOS is much better, simple setup, easy configuration etc no headache on finding the right clocks and mems.. The screenshot of Watt usage meter is for 5 GPUs only, i forgot to take a photo with all 6 :/ but is somewhere around 900w. Here it is, up an running. Currently i am waiting for the new ethOS version 1.1.2 (now using 1.1.1). The problem now is that i can only run with sotck settings, so no overclock till the 1.1.2 version with more support for rx 4xx series. 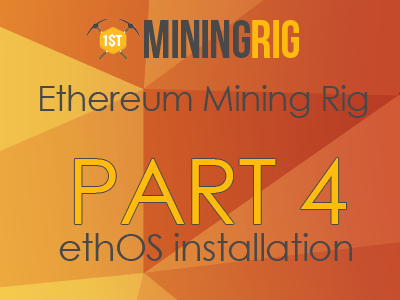 I will continue to update this post when the new ethOS version released, with overclock, hashing power, power consumption and much more, don’t forget to subscribe. Dramatically reduced size of ethOS by removing unused packages and caches. So now we are able to overclock our cards, here is what i did. I am having serious problems, one card keeps crashing, not sure why but i am still testing and checking to find the best core mem for this, so if one or two cards keep failing try to change usb risers recheck all the cables, maybe v 1.1.2 is not that stable yet but we can do a lot more things than previous version so maybe we can find the best core mem for our cards (for now). First of all try to add “globalmem 2150” in local. conf (type “nano local.conf” in terminal). Core settings should remain default (do not add them). Leave it to run like for about 1-2 hours and if everything goes good increase the mem to “2225” and leave it like this for a while (significant mh/s will be visible).